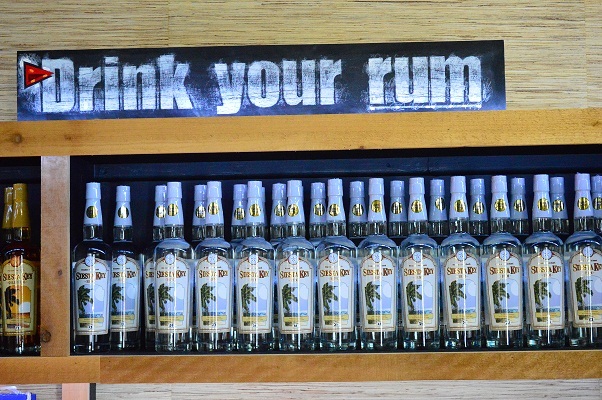 The second rum distillery on our radar was Siesta Key, named after its location and the beach voted Number 1 in America. About an hour north of our villa in Rotonda, the beach itself was a contrast from our local ones: crowded with an endless car park full of cars and soft powdery white sand which was impossible to remove from bodies, clothes and towels. We stopped for lunch after the morning’s shopping mall activity and coudn’t really see what the hype was about really. The afternoon’s activity was to centre around the area’s rum distillery though. Located on an industrial estate, it was quite hard to find, but a number of laps, u-turns and three-point turns around the estate were rewarded eventually. 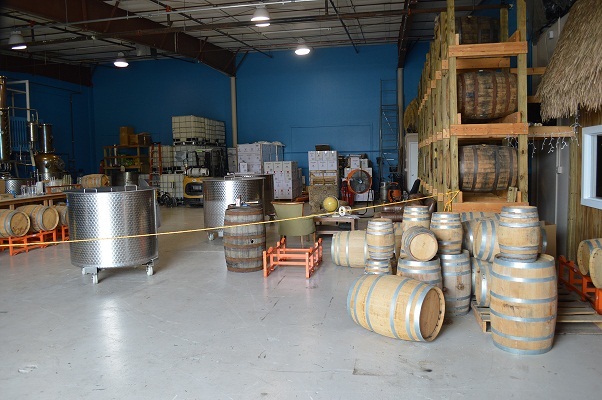 The tasting room is open on afternoons Thursday to Saturday and I’d seen on the website that distillery tours had finished for summer a few days before we landed in Florida, owing to the oppressive heat and humidity. 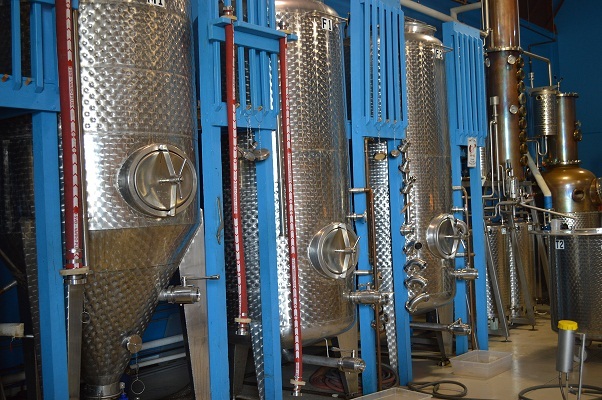 Nevertheless, they still offered an air-conditioned tasting room and access to rum which was fine by me. 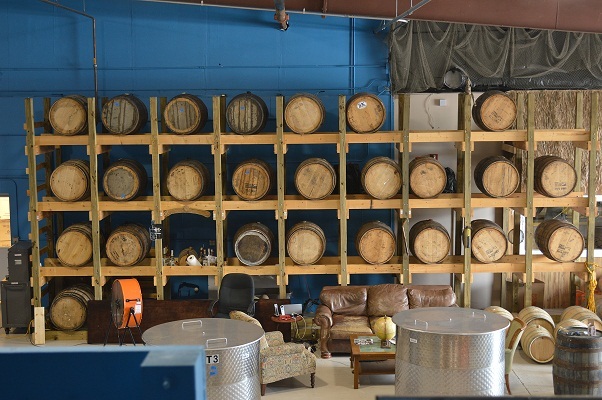 The tasting room is dominated by a huge hand-crafted wooden bar area and row upon row of rum bottles, and we were welcomed by the smiley co-owner Nanci and immediately offered samples. 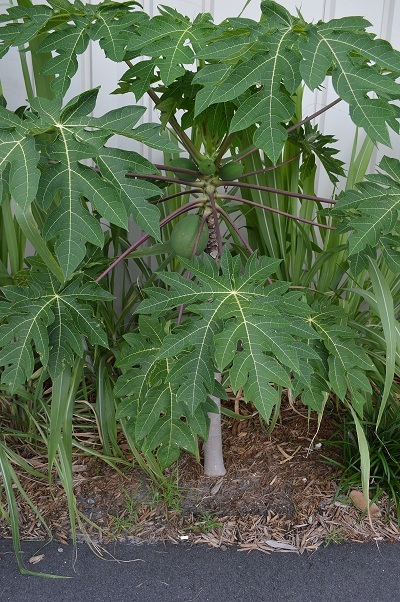 Three rums are available in shops – silver, spiced and gold aged – but there were several other unreleased variants available, including rum aged in beer barrels. 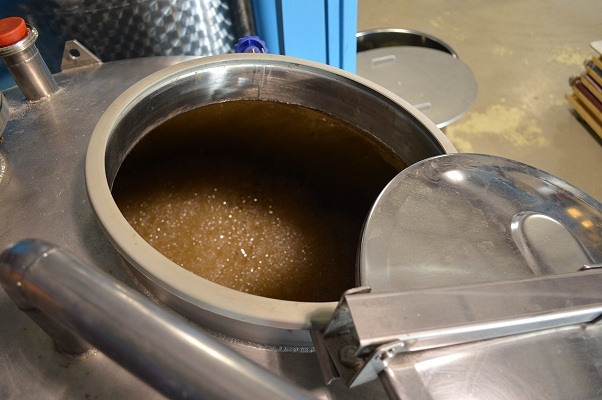 We were lucky when a question from another visitor prompted the distiller to offer an impromtu tour of the facility. 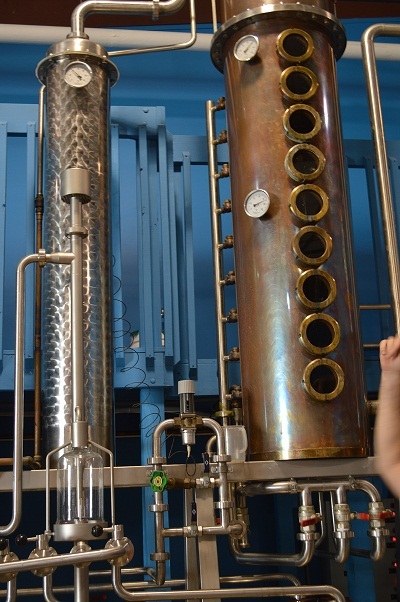 Sure, it was very sweaty, but we got to see inside the stills, see the bottling and labelling in action and taste a new creation the team is working on – coconut rum. I think it was the best coconut rum I’ve ever had! Back in the tasting room we had to decide which to buy. The gold was beautiful, but we’re always on the lookout for a good spiced rum and the Siesta Key spiced is multi-award winning so that’s what we went with. The distiller told a good story about Siesta Key’s first award at the Miami rum festival, where all the multinational rum brands had their huge stands and models handing out samples, versus Siesta Key’s mini table against a wall. None of the Bacardis or Havana Clubs had taken any notice until they won best spiced rum and were queuing up for a taste. I really liked this place. 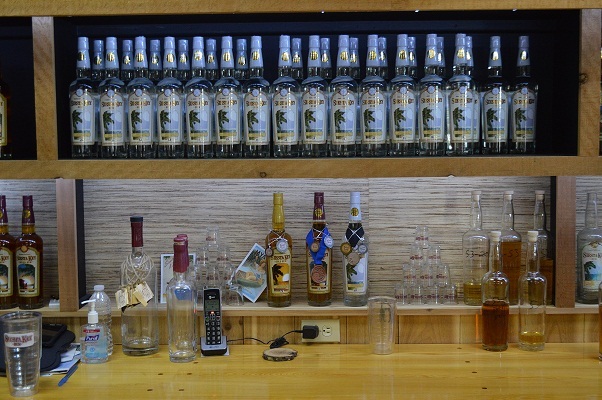 The team is laid back, knowledgeable, the rum and craftmanship is excellent, and at $20 a bottle, pricing is bargainous.